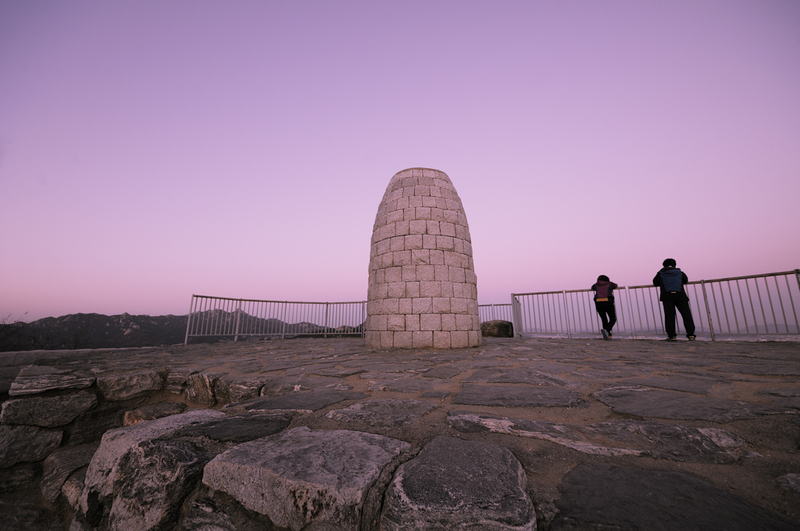 Not to be confused with the city in Gyeonggi Province, this mountain is North East of the more famous Namsan (남산). 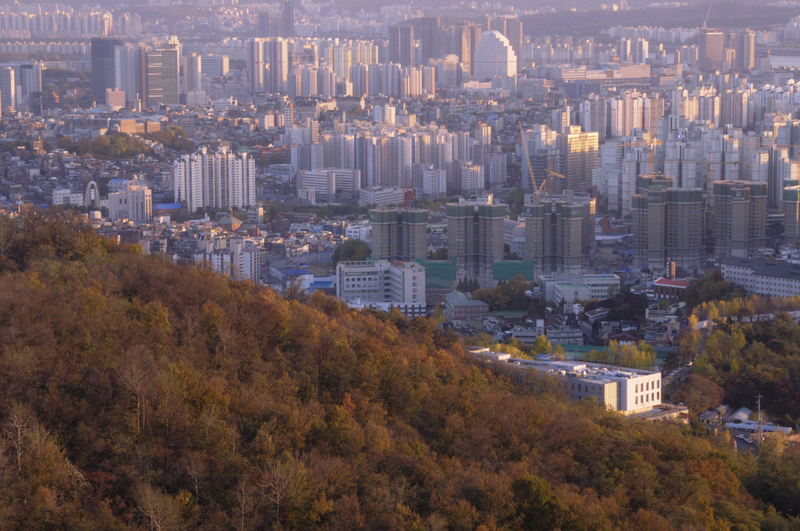 My old university, Yonsei (연세대학교), is built at its base and can be accessed from there and many other areas around the mountain. It’s definitely worth a shot for the cityscape shooter and especially beautiful during the autumn when the leaves have changed color. 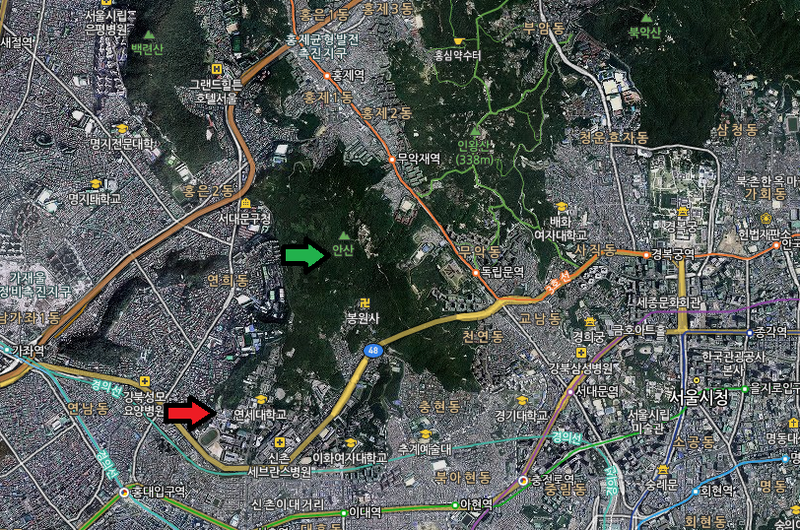 I just go up Yonsei University. 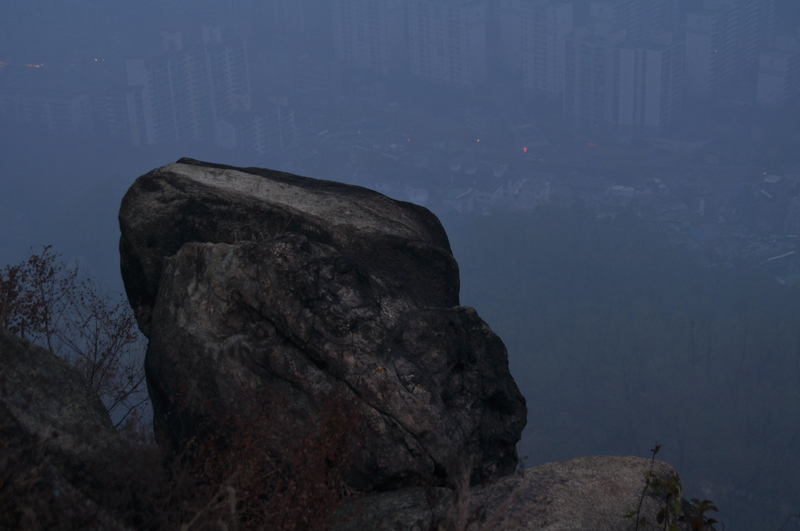 I remember taking a morning hike up here to see the sunrise 4 years ago, only to be greeted by a foggy day. 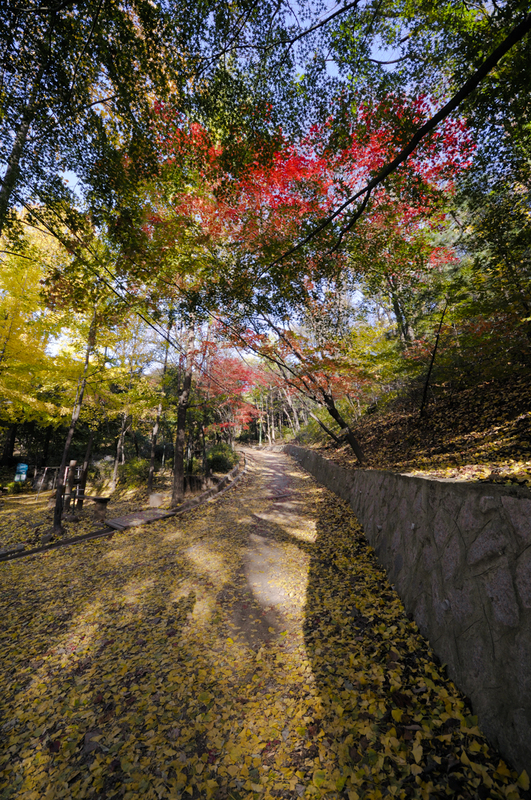 You could only see slight glimpses of the beautiful cityscape from beyond, but at least the trail was full of beautiful autumn leaves. This time, I decided to hike before sunset. 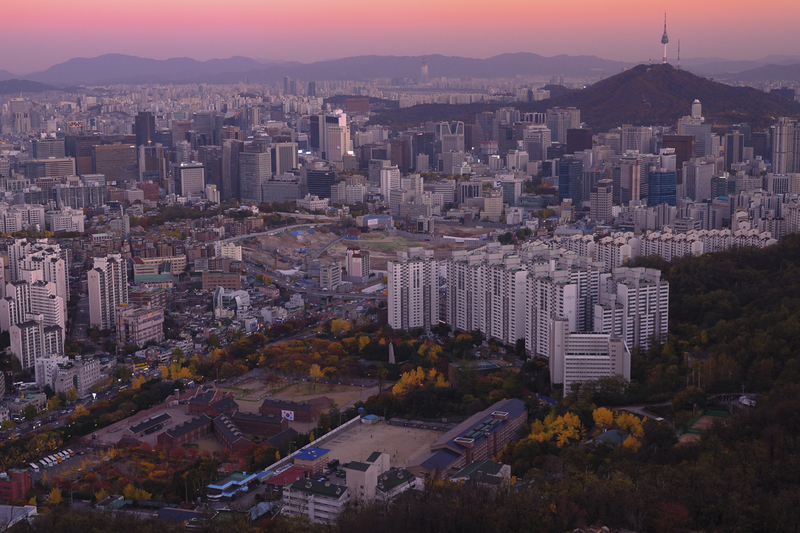 Although the autumn colors weren’t as vivid as four years ago, there was a perfectly clear view of Seoul! 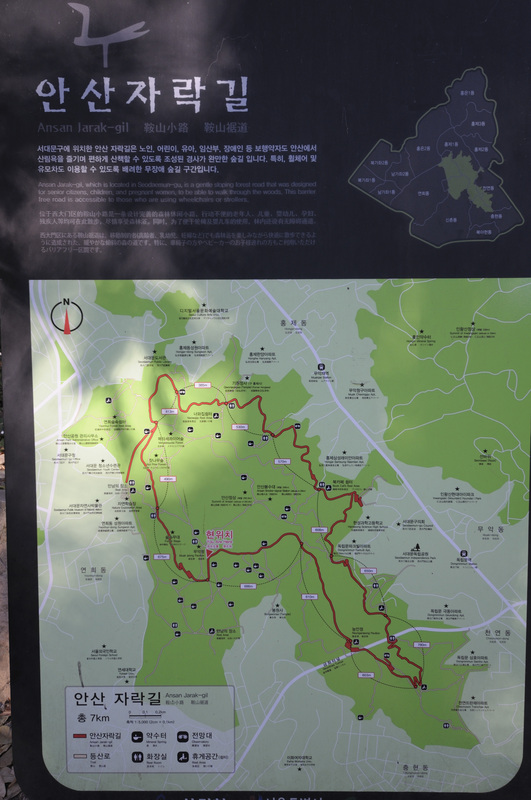 The hike takes quite a bit less than an hour. Some of the roads might be a little slippery, so caution and proper shoes are recommended. 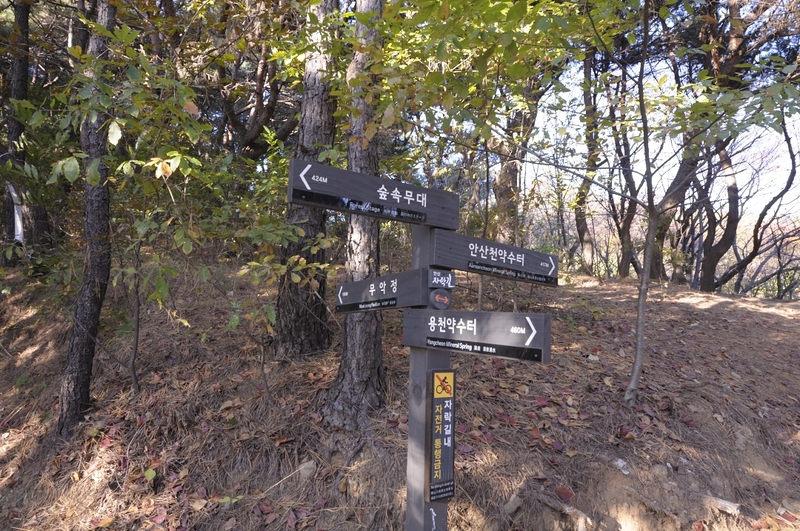 There will be many roads around the mountain, and signs to guide you. However, I was only interested in the summit which means you only have to find the road that goes up. There were mountain bikers and I was really impressed because I didn’t know they could go up such steep grades on those things! 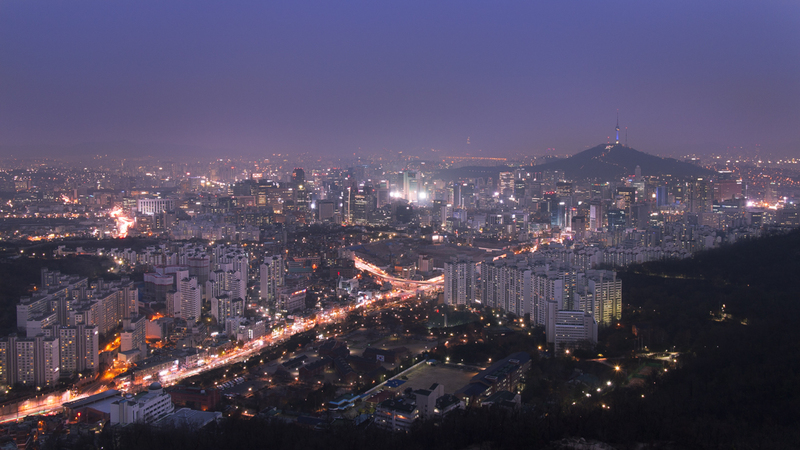 Once you reach the top you’ll have around a 270 degree view of the city (perfect for a beautiful pano), and personally I feel this is better than Namsan’s view in some ways. There’s a balcony with a furnace that they perhaps use in the winter. They even have a helipad! The view really makes the tall buildings look tiny and insignificant. 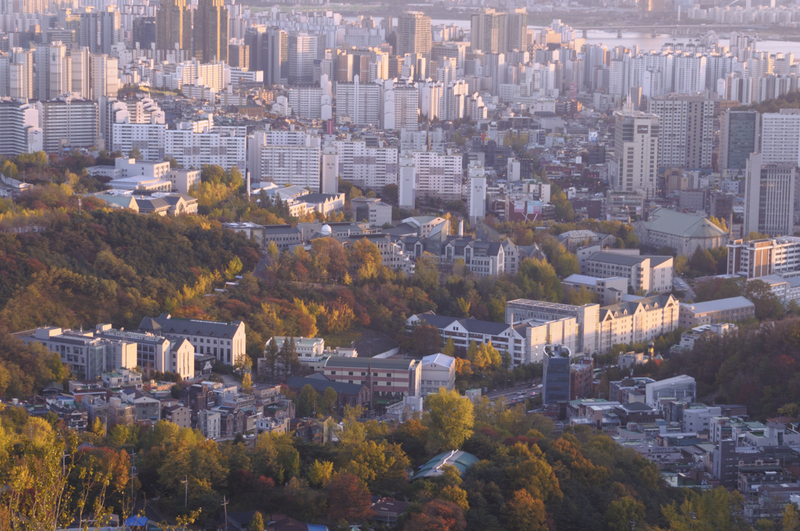 I was really amazed at the way the light hit the yellow trees and the buildings. It would be a great place for a timelapse. 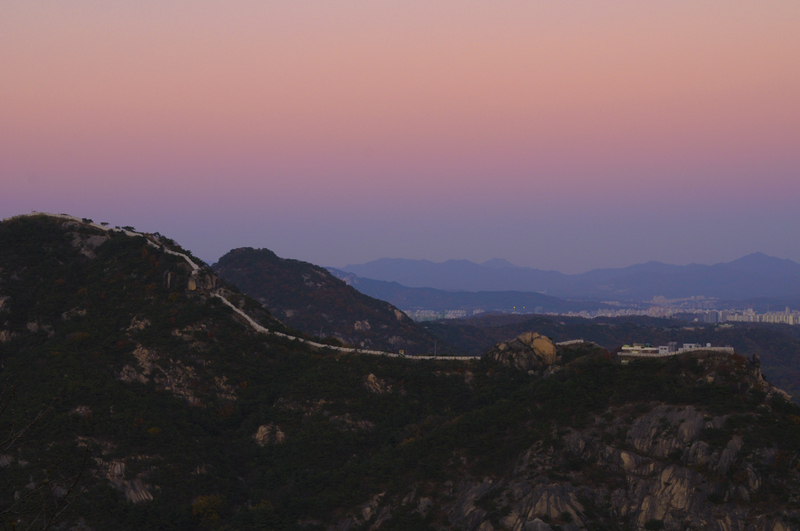 You could see the Seoul fortress (서울 성곽) on Bugaksan Mountain (북악산) which is to the North. 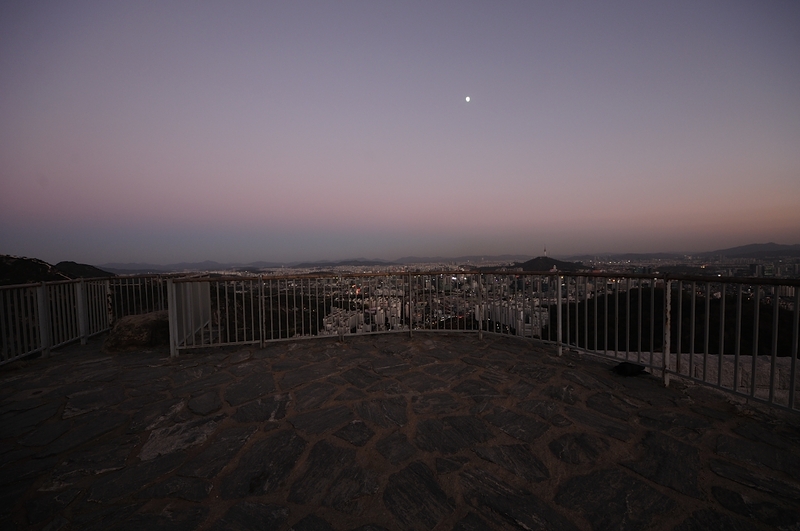 Seoul fortress was unfortunately not a very good place to take photos as I will explain in a future blog. 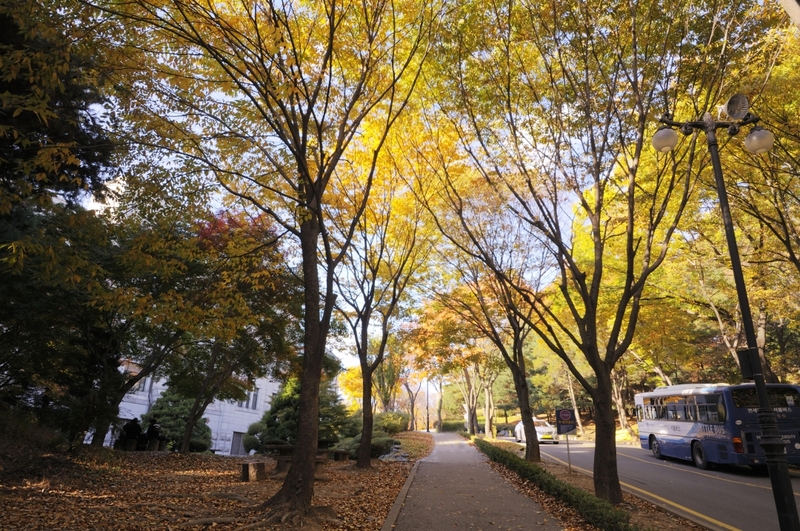 Be sure to wear warm clothes if you plan to take night photos here in the fall/winter. I made the mistake of not bringing enough the first time, but went back prepared during my meetup.